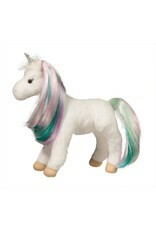 Jules the playful plush Princess Unicorn leads the way to fun and enchantment! Ready to leap into the next adventure, Jules sturdy enough for creative play, but soft enough for hugs when it’s time to snuggle up and relax. teal while strands of silvery tinsel add further flair. Created with all around exceptional craftsmanship and details. 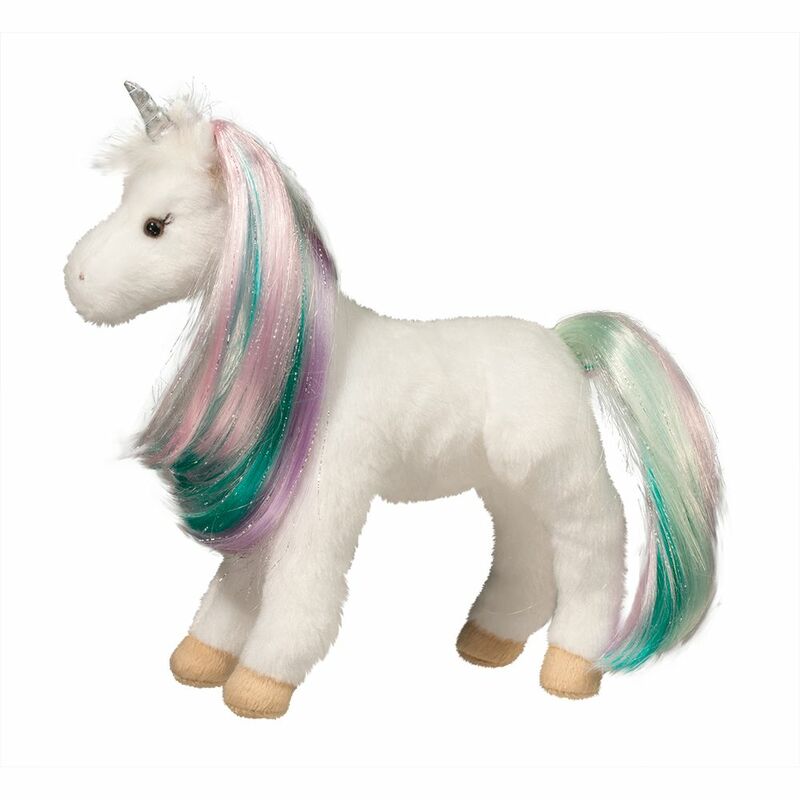 As a family-owned and operated business for nearly 60 years, Douglas has become one of the oldest and most respected plush companies in the United States with world-wide distribution. Uniquely designed in New Hampshire, their products are manufactured in Asia to exacting specifications and standards and in full compliance with existing Toy Safety Standards. They also choose manufacturing partners who adhere to a strict code of ethics and provide a safe and healthy working environment.